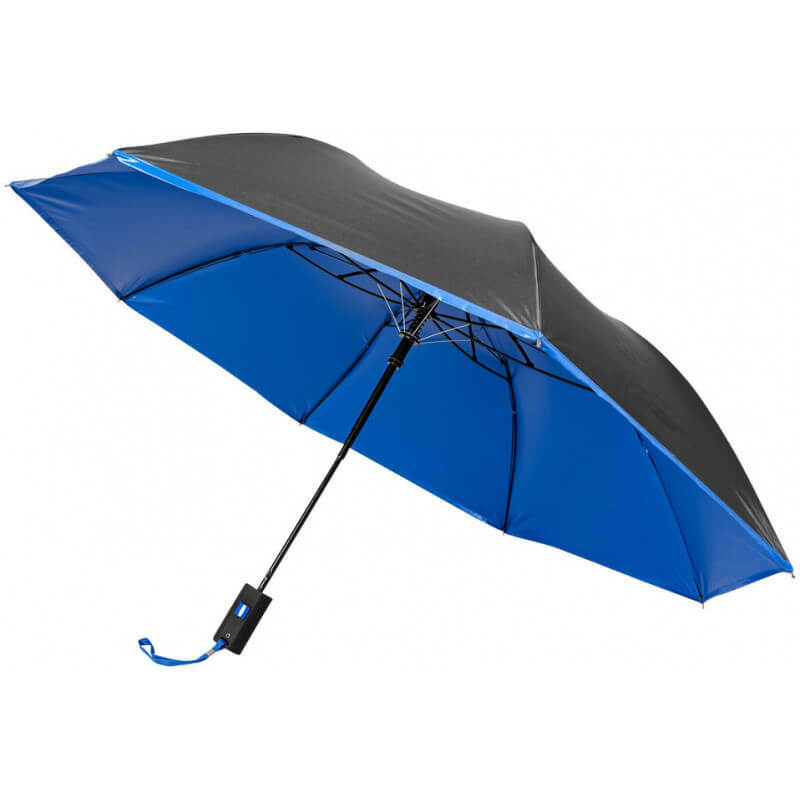 Spark 21" foldable automatic umbrella. 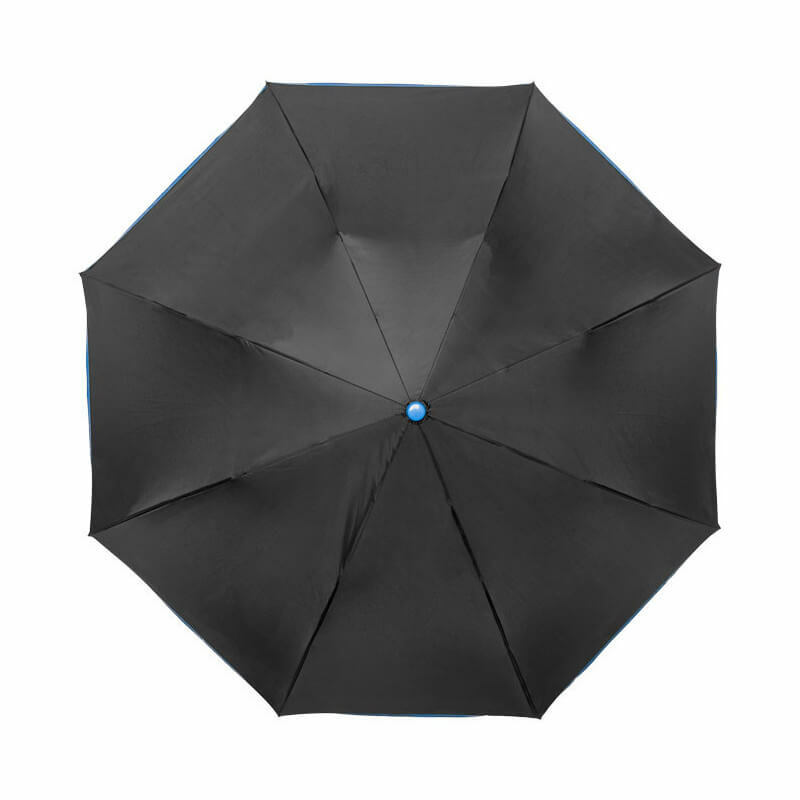 Automatic opening 21" 2-section umbrella with color contrasting details on inside of the canopy, push button and edge. 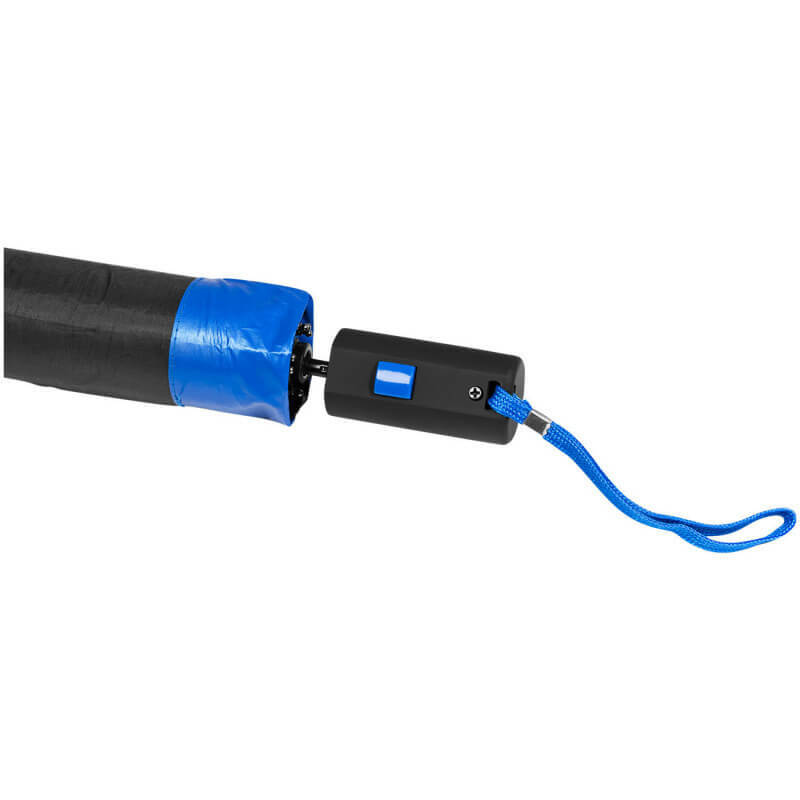 Supplied with storage pouch. Metal shaft and ribs. 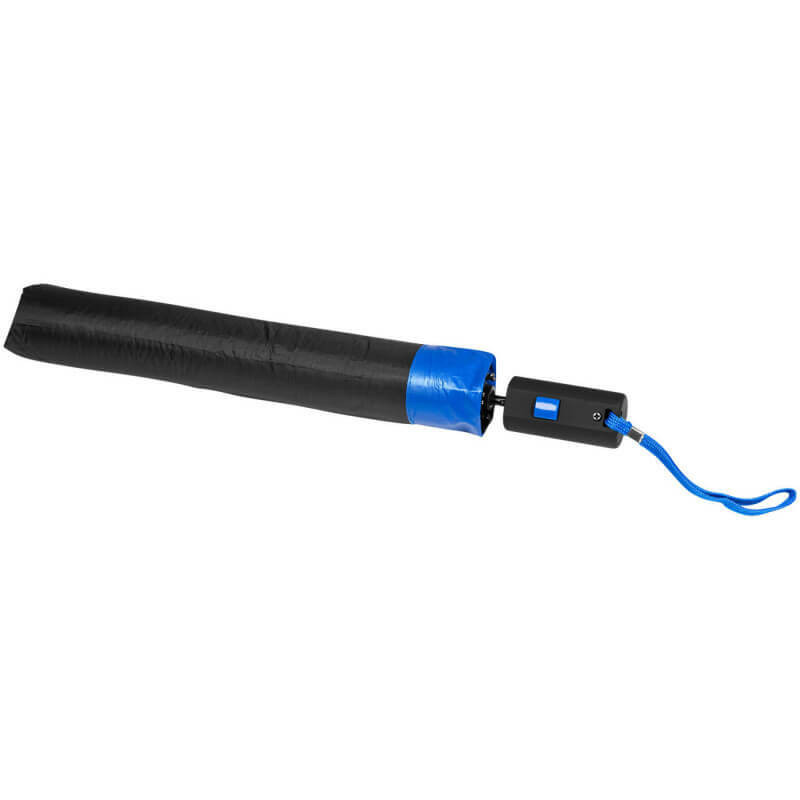 Folds up to 41cm. Exclusive design. Polyester.